Ringens is a very lovely salvia from Eastern Europe that is very rarely offered in Australia. It closely resembles interrupta and could easily be confused if working off a description only. 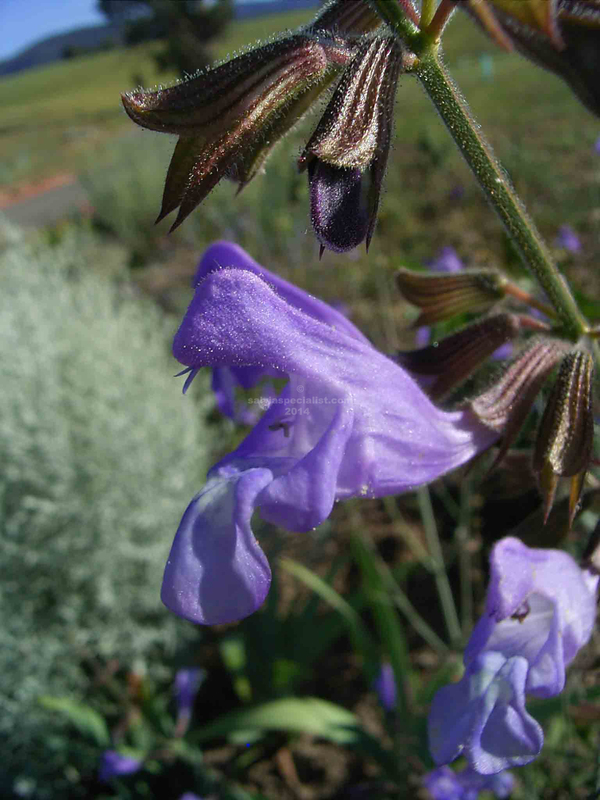 It has pinnate (much divided) foliage and flowers in spring and summer when it sends up tall stems of purple flowers. It sets seed and is about among collectors. Note how the flower does not grow straight from the calyx, this is an identifying feature. Ringens would need a sunny spot. I don’t usually have ringens to sell .